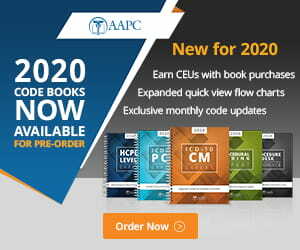 AAPC and the National Advisory Board are gearing up for HEALTHCON 2019 at Caesar’s Palace in Las Vegas. We are preparing for our “Template Use and Abuse” presentation at HEALTHCON. With this eNewsletter message, let’s address preparing for a presentation. How do you choose a topic to present? Mary: Our template presentation is a nice example of how to choose a topic. As co-region 8 NAB representatives, Mike and I discuss current issues. I teach physician documentation/coding in a large healthcare system, Mike is deep into policy and patient empowerment. We both recognized problems with health record integrity due to the abuse of templates, copy and paste and copy forward functions. In our discussions, we highlighted ways templates could be best used and also worse applied. This led to a regional AAPC presentation, a Healthcare Business Monthly article (Nov 2018), and now the HEALTHCON presentation. Bottom line, consider a topic that you are passionate about. Do the research, showcase bad examples, and offer solutions that can be easily implemented. Your investigation will lead to deep understanding that will guide your presentation and make for a fulfilling experience. How do you prepare your PowerPoint presentation? Mike: Outline your message with an introduction, develop the concept, explore intended and unintended consequences of current policy/application, and offer solutions. Your first finished draft will likely be too long. That is OK. As you prepare your final draft, many of these slides can be eliminated from the presentation, but kept as extras – adding on past the conclusion slide. During Q&A, you may need to show an additional slide or two and they will be there for you. I like to include visuals and references on the slides. When we reference CMS final rules from the Federal Register, for example, I like to show a screenshot from the actual text. Pictures also help guide the mood of the presentation. How do you practice your presentation? Mary: We’ve practiced on the phone/WebX and in person. When two people present together, it is obviously different than when presenting alone. You want to be comfortable with your presenting partner. We try to divide up the content, but feel no worries if we overlap a little. Our biggest concern is time. We make sure there is plenty of time for Q&A. How do you stay on time? Mike: I practice presentations with my phone timer and note the time for each slide. Some slides need only several seconds to prove a point. “Use of this policy painted us into a corner” and the slide shows the dress shoes of a person painted into a corner. This slide only takes 5 seconds. A different slide may show bullets to a policy. This slide may take 1 ½ minutes. Don’t spend 90 seconds telling a story during a 5 second slide! Most important is to know where you should be at critical time points: 10 minutes, 30 minutes, 60 minutes. If you are supposed to be at slide #30 at 30 minutes, then learn to check at 30 minutes to see where you are. If you are at slide #20, then stick to the presentation and gain better control of time. If you are at slide #35, then calm down and be in the moment. How do you anticipate audience questions? Mary: Remember the extra slides during the early drafts? We save these and put them after the conclusion slide. Some have great quotes and stats, but did not make the cut for the presentation time frame. Preparing for the presentation helps you consider many audience questions. Be sure to let the audience hear the question by either having the person use a microphone or you repeat the question as a presenter. How do you avoid being nervous? Mike: The top stressor for most people is public speaking. Fear and excitement feel the same when you approach the stage. Fear tells you to run away, excitement tells you to run on stage. AAPC advances the business of healthcare. As an AAPC member and professional certification holder, feel proud to advance knowledge with a presentation, whether it be at your local chapter or at a conference. Most of the fear disappears two moments after you begin!